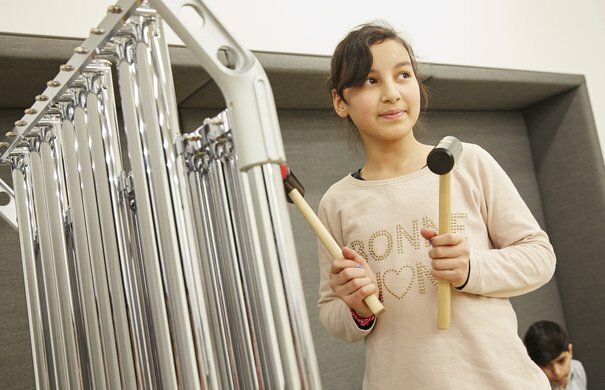 Making the first step easy: alongside countless concerts, courses and ensembles for the general public, the Elbphilharmonie also offers a programme for schools and kindergartens that is tailored to a variety of ages. The Elbphilharmonie’s School and Kindergarten Programme offers the opportunity to enrich and expand music teaching through workshops. 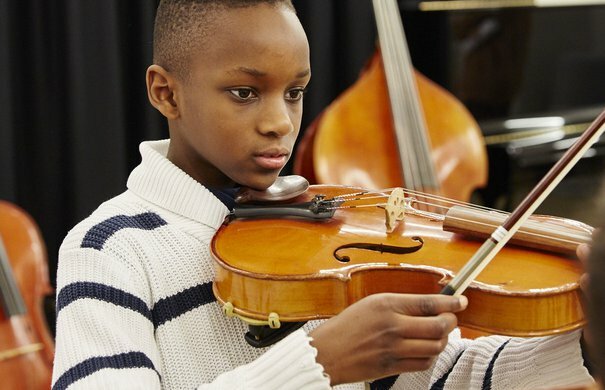 Children and adolescents are able not only to peek behind the scenes of a major concert hall, visit a concert together or meet the artists in person, but also to participate themselves in making music! The Grand Hall and the Recital Hall are the beating heart of the Elbphilharmonie – and it’s important that Hamburg’s schoolchildren get to experience these in action. Four imaginative scenic productions in the Recital Hall invite primary schoolchildren to experience music with all their senses. Older school pupils can discover top-class ensembles such as the world-famous Mahler Chamber Orchestra in the Grand Hall. And to make sure no one is too much in awe of such big names and major works, the programme is presented in a relaxed and informal style. Ensemble Resonanz doesn’t limit itself to musical instruments. It also coaxes exciting sounds out of biscuit tins, wine glasses and rain jackets – and guides listeners through all kinds of weather: beating rain and howling winds one minute, and shimmering heat the next. In cooperation with Ensemble Resonanz. Please note: the concert at 11:30 on 19 December has been cancelled. Ticketholders have already been informed. Scheherazade is a storyteller from Persia. She enraptures her audience with stories from the 1001 Nights: you smell the fragrances of the Orient and feel the sea breeze and the light of the Persian landscape. With music by Nikolai Rimsky-Korsakov, performed on violin, clarinet, bassoon and piano. The Brass Gang and their music were well-loved and well-known, everyone wanted to hear them. But now they have hit upon hard times. 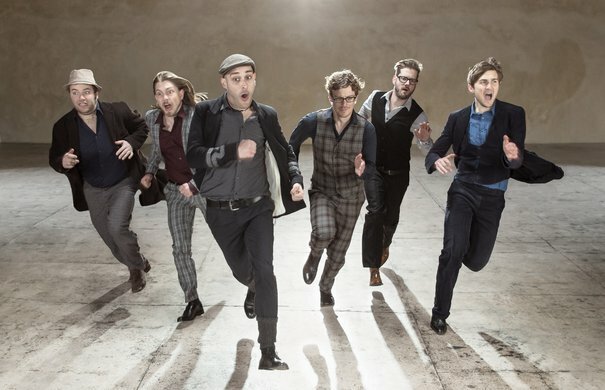 If they want to continue performing as a band, they need to round up money quickly. They plan to rob a bank. Will the Verblecherbande be able to crack the safe’s musical code? SOMNIA – WHAT DO DREAMS SOUND LIKE? What is dream, what is reality? In »Somnia« music becomes a gateway to magical worlds. 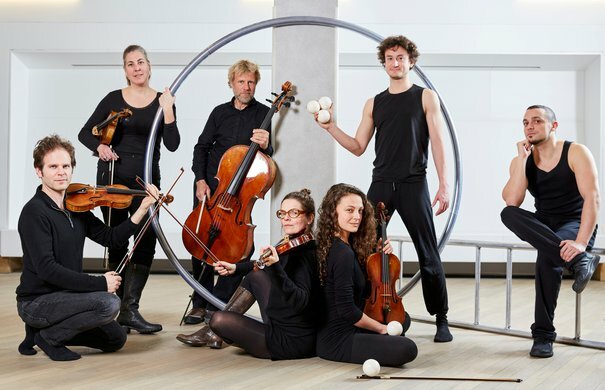 A highly original and imaginative concert with Ensemble Resonanz, featuring circus arts and music by composers from Anton Bruckner to Giacinto Scelsi. 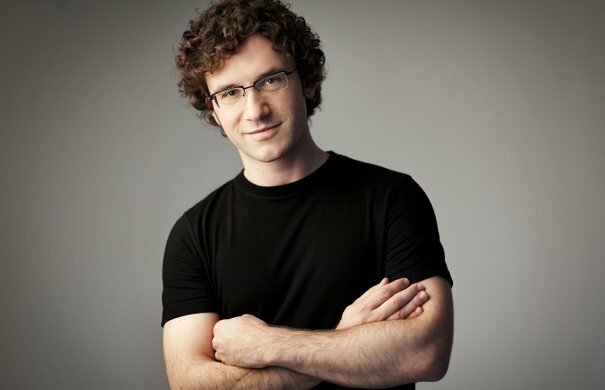 Andreas Schaerer sings, yodels, beatboxes and imitates the craziest things with his voice. 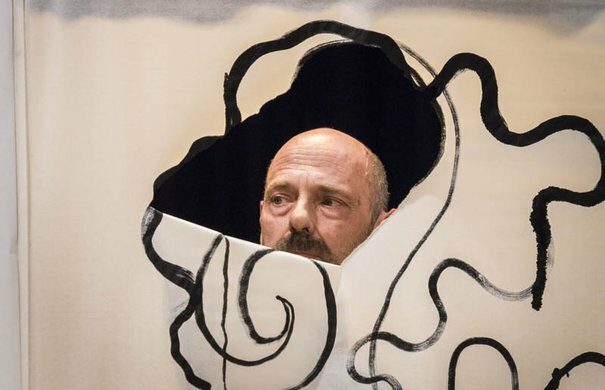 Trumpets, comic speech bubbles, everyday sounds, opera prima donnas – no problem for the Swiss performer, who now storms the Grand Hall with his adventuresome band Hildegard Lernt Fliegen. Where the puppets dance: during Shrovetide Fair a dubious puppeteer’s marionettes come to life, fall in love and then begin to squabble. Igor Stravinsky composed a ballet based on this mysterious story, and this is performed at the Elbphilharmonie, first in the original and then in an updated version. With electronic beats and sounds, the spirits of the puppets roam through the circles of the Grand Hall. But don’t be afraid – they just want to dance! To be free – this idea fascinated Beethoven his whole life and it also surfaces in his music. He even dedicated his Seventh Symphony to the victims of the power-hungry Napoleon. 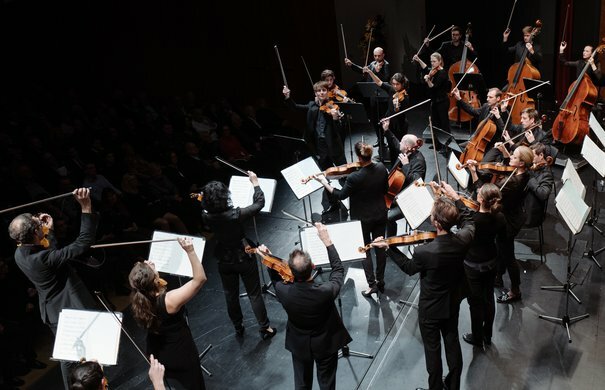 The members of the Mahler Chamber Orchestra are also free and independent – and just like Beethoven they love to push through musical boundaries. In this compered school concert they play without a conductor and show that Beethoven’s ideals are just as topical today as they ever were. »Do you also listen to pop music?« When Hamburg school pupils ask top musicians questions about their classical music career, they are usually surprised by the answers. 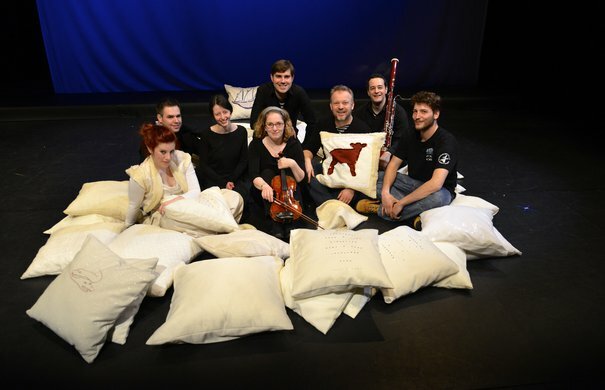 These face-to-face encounters are made possible by the ZukunftsMusik (Music of Tomorrow) fund. 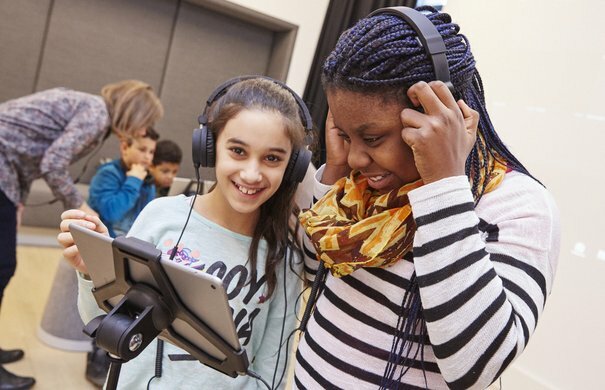 In music lessons at school – supported by Elbphilharmonie music educators – pupils first learn all about the compositions that make up the current repertoire of the musicians. Following discussions with the musicians or rehearsal sessions, the school pupils are offered the chance to visit a concert in the evening and watch »their« artists perform live on stage. Pick up your instruments, get ready, go! Whether it's a violin or a trombone, the much-travelled Indonesian gamelan or the heavenly celeste: with over 500 instruments in the Elbphilharmonie's World of Instruments, a visit just to look at them would be worth it. But visitors have the chance to do more than just observe: all the instruments can be touched and played as well. The workshops always focus on enjoying playing together with others – prior knowledge is not required. The new season sees a further extension of the already wide range of courses: 13 different workshops, divided into the sections »Klassiko«, »Kreativ« and »Kosmos«, invite the public to join in. A classical symphony orchestra is a very colourful bunch: in the back, the fat tuba; in the first row, the violins; in the corner, a splendidly polished harp. Each instrument has its own playing technique and its own unique sound. »Klassiko« invites everyone to discover these musical instruments: »Klassiko Orchesterinstrumente« is an introduction for all first-timers; other workshops are devoted to the different instrument families, and in »Klassiko Alte Musik«, an entire era! The classical symphony orchestra and its many musical instruments are introduced in the »Klassiko Orchesterinstrumente« workshop. Professional musicians are also on hand to guide students through the first steps of playing each instrument. Join the end-of-workshop jam to uncover whether all the contrasting musical families really do harmonise with one another. This workshop examines the family of string instruments carefully. On show are the mandolin, banjo and ukulele as well as representatives from the classical symphony orchestra: violin, viola, cello and double bass. Even the harp has its say! 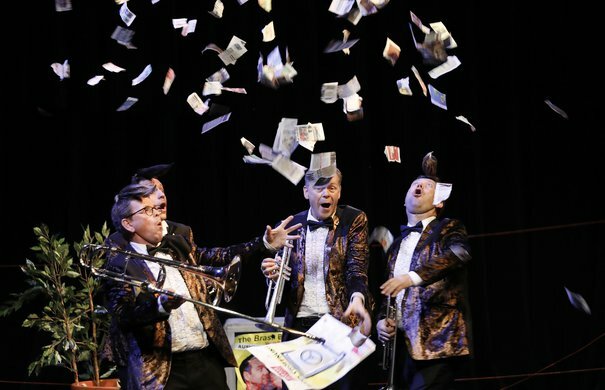 They may lurk at the back of the orchestra but when they join forces things can get very loud and dramatic indeed: the trumpet, trombone, tuba and company are the powerhouse behind any symphony orchestra. In this workshop, traditional instrument from olden times are also introduced. In addition to the classical orchestral percussion instruments, this workshop also introduces students to non-European rhythm instruments. What did music sound like in 1500? What is a shawm, bombard and a slide trumpet – and more importantly: is it possible to play these musical instruments today? The acclaimed Capella de la Torre gives an insight into a fascinating musical era and invites students to experience it for themselves. The Elbphilharmonie is well-frequented with classical symphony orchestras – but jazz, organ and countless other music genres from all across the world also make up the concert hall's diverse music programme. In »Kosmos« workshops, participants are immersed in thoroughly different music worlds – from Caribbean rhythms to the meditative sounds of the Indonesian gamelan. 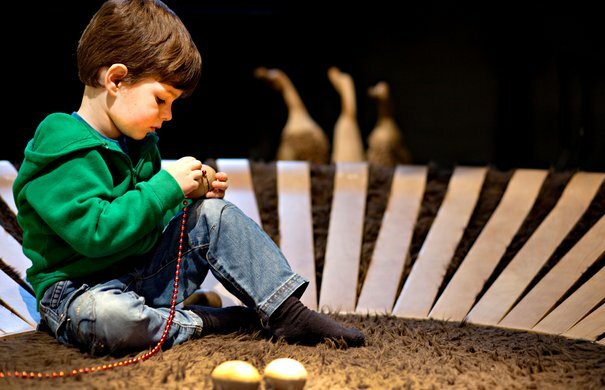 Featuring musical chairs, water spring bowls and many other extraordinary instruments, this workshop invites participants to intensively experience the effect of sounds with the whole body and all senses. Students experience the relaxing effect of the generated vibrations, and the sounds are then even made visible in unusual experiments. 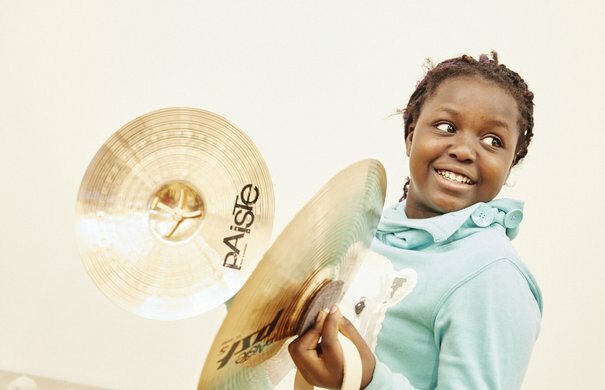 In this workshop, curious school pupils embark on a sound expedition around the world and get to know many different percussion instruments: drums and rattles, but also less common ones like the pakhawaj, kpanlogo and shekere. The instruments hail from all corners of the earth, from the Caribbean to India, and some have travelled thousands of kilometres to the Elbphilharmonie from lands far away. In this workshop, students are taken on a journey to south-eastern Asia, more precisely: Indonesia. On a unique, 70-year-old set of gamelan instruments formed of gongs, bronze mallet percussion instruments and drums, the participants work together on a traditional piece of music as well as have the opportunity to explore the exotic sounds using their own musical ideas. Participants get to know the basics of jazz and typical jazz instruments before rehearsing a short jazz piece. Previous knowledge is not required. Organist Thomas Cornelius demonstrates how the organ works using a specially-built pipe organ model for this workshop. Then it's off to the Grand Hall to have an extensive examination of the majestic Elbphilharmonie organ with its 4,765 pipes – trying out is explicitly allowed! The fun of trial and error, the charm of doing something completely new and crazy: many great masterpieces have been created in these ways – and countless composer careers have so begun. In the »Kreativ« workshops, participants can put their own ideas into action: previously recorded sound clips are prcoessed on the »Klangsafari«; in the »Komposition« workshop, students can slip into the role of composers themselves. Music by composers such as Mozart, Beethoven and Tchaikovsky is a hundred years old and more – and yet it remains extremely popular. This workshop explores the nuts and bolts of composition. With various sound experiments and improvisation techniques, students get to grips with this exciting world and work on their own pieces. On a sound safari through the Elbphilharmonie: we find exciting sounds not only in music on and behind the stage, but also in the walls of the concert hall. In this workshop, school pupils start off on an expedition with the aid of headphones and an iPad in small groups. Everything and anything they find acoustically interesting is recorded using a simple app. Later, the participants produce their own experimental musical miniature from their collected tones! »Panorama« offers the complete World of Instruments package for the most curious newcomers on four Fridays. The students go on a journey through the three areas of Klassiko, Kosmos and Kreativ and discover the instruments of a classical symphony orchestra as well as sounds and instruments from all over the world. Everything that sounds is thoroughly tested and explored. Together, the students collect ideas for their own composition, which is then presented to invited guests on the final day. Play in a concert at the Elbphilharmonie: check! From the schoolyard straight to the stage: it's a well-known fact that Hamburg's school students have quite a few skills. 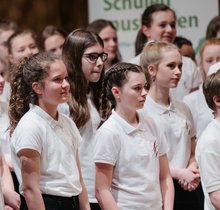 With the school music project »Schulen musizieren« (Schools Make Music), the Bundesverband Musikunterricht (German Association for Music Teaching) gives them a chance to show what they can do. 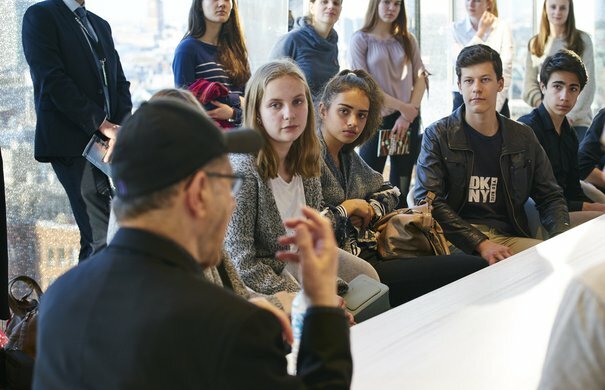 Selected school choirs, bands and orchestras regularly appear on stage all over Hamburg as part of the project, and the young musicians have now added a new venue to their tour plan in the shape of the Elbphilharmonie. All the city's school ensembles can apply, and a jury will then choose five to six ensembles to appear in the Elbphilharmonie Recital Hall. The concert is sold out. In five imaginative music theatre productions in the Kaistudio, young ones can escape into wonderful music worlds. 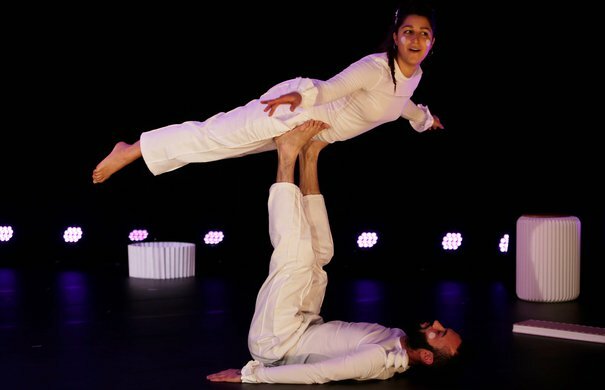 The performances not only offer first-class music, but also proffer plenty for the visual sense. There are exciting stories to listen to and cheer on, from floating magical beings to the adventures of an unusual animal gang. In a big but comfortable nest, a violinist and a singer embark on a journey of musical discovery. The nest provides safety and warmth for their egg to hatch, to dream and to chirp like the birds. The chicks hatch – and eventually take flight. Three men meet up every day in Krickelkrakel, always at the same place. Sometimes they argue, sometimes they speak with one another without saying a word. Three very different men, each does his own thing, in his own way. However, unaware that all three dream the same dream. What do colours sound like? Who understands the moon? What does the sun say? What sounds deeper – a double bass or a bass drum? How do you play a thunderbolt? Glimp takes listeners away to an enchanted dream world in which sounds and images play together and with the audience. Extraordinary magical melodies attract bizarre white beings. They glide over the floor like a bow over the strings of a violin and together they decide to build a world of paper. Music and movement develop into a playground of soaring lightness. Can koalas skateboard? 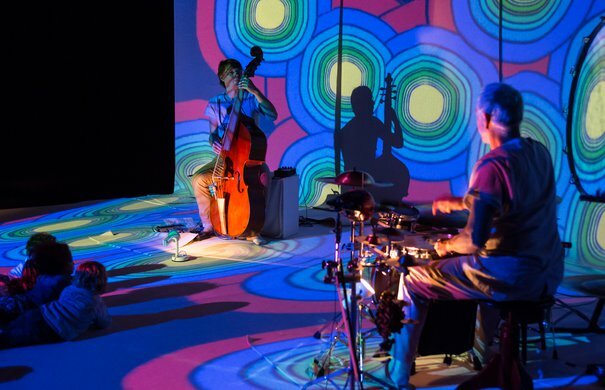 This jazz combo’s groovy tunes bring animals to life like you’ve never seen before. In animated drawings, a kangaroo, an elephant and a whale go on an exciting adventure. 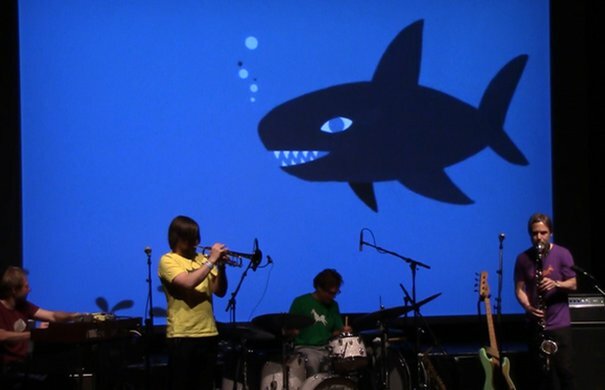 The five members of the Swedish band Oddjob open a musical picture book full of colour, sound and rhythm. The Klingendes Mobil makes its way to cultural centres, kindergartens and primary schools throughout the city. With around 50 classical and non-European musical instruments on board, a range of programmes specially designed for different age groups are offered by professional music educators on location. In addition to visits to kindergartens, the sound mobile also makes a weekly stop in each of the Altona, Eidelstedt, Jenfeld, Schnelsen or Sasel, Barmbek and Wilhelmsburg cultural centres and can be visited by groups. Visit the Klingendes Mobil in the Eidelstedt, Jenfeld, Wilhelmsburg or Sasel cultural centres with your kindergarten group! Invite the Klingendes Mobil to visit your kindergarten! All that’s needed for the presentation are two rooms in your day-care centre and a parking bay for the Klingendes Mobil. You can book one, two or three events for the same day. 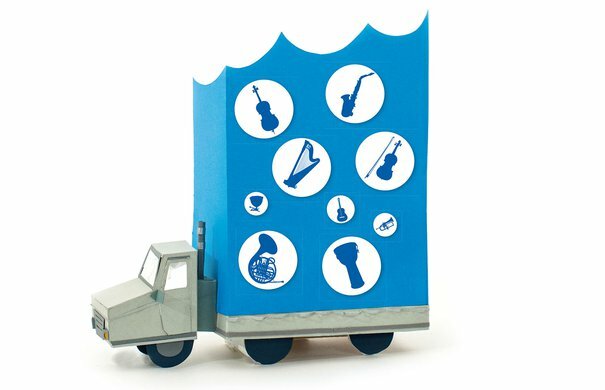 Ob Schulkonzert, Kitakonzert oder Workshop – das Education-Team der Elbphilharmonie hat umfangreiches Material zur Vor- und Nachbereitung des Konzerthausbesuchs vorbereitet. 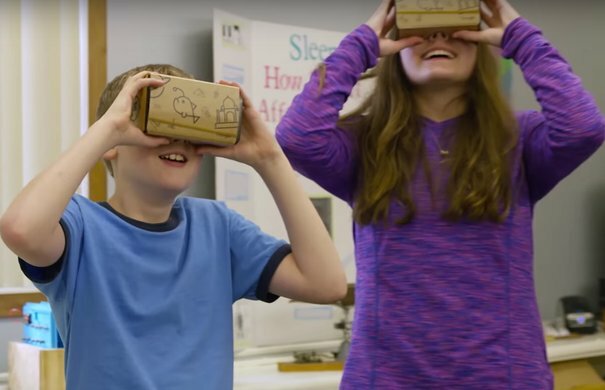 Discover the world from the comfort of your classroom: Travel to innumerable historic landmarks and view them in 3D with the Google Expeditions App. The Elbphilharmonie too! The app leads you on an immersive virtual trip through the Elbphilharmonie with the help of questions and explanations about the architecture of the concert halls, the features of the Elbphilharmonie organ and much more.